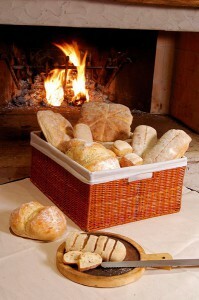 CLM BAKERY SYSTEM: AT THE CUTTING EDGE FOR BREAD WITH A HANDMADE FLAVOUR. CLM Bakery System has always been committed to the ideal combination of modern industrial technology and the high quality of traditional food production. CLM Bakery System can now offer you the best results of this commitment, with modern, highly automated solutions, marked by efficient management and high quality. If you also think that the flavour of handmade bread is a factor that gives products superior quality, CLM BAKERY SYSTEM has the answers for you! We start from the dough mixers and the forming lines, moving onto the proofer, and then to the gas or wood-fired tunnel ovens, or to static wood-fired ovens, obtaining the bread that will make you stand out from the competition. In this section of the website, you can find a description of all the equipment that will enable you to achieve this result. Do not hesitate to contact us for all the information about this.